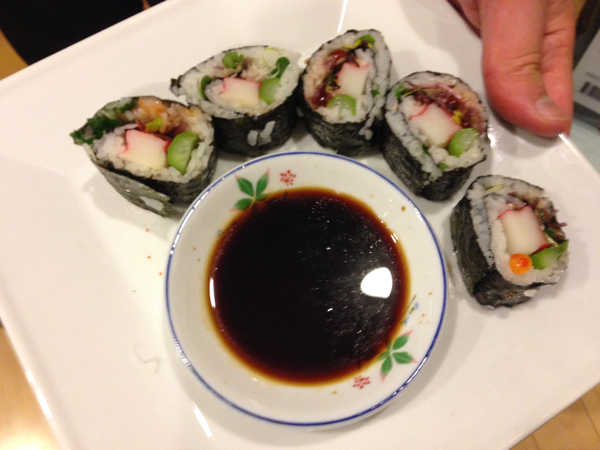 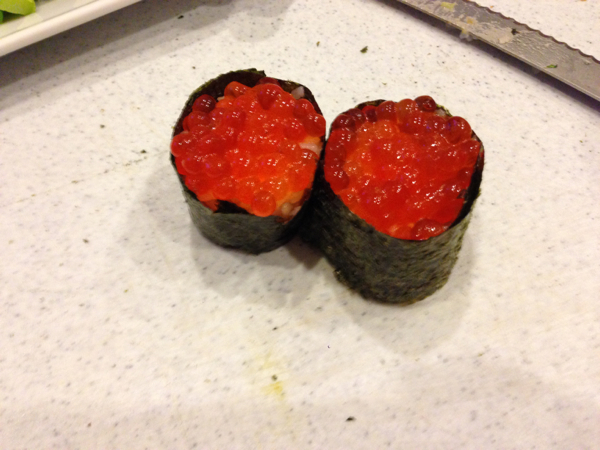 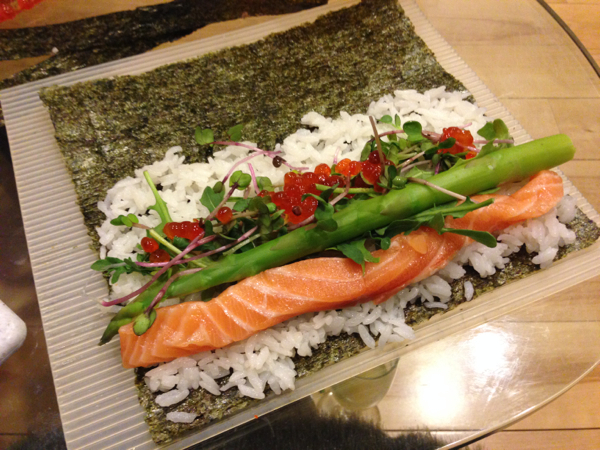 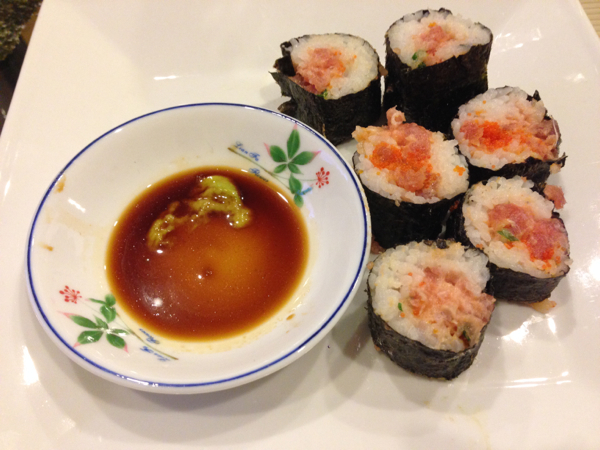 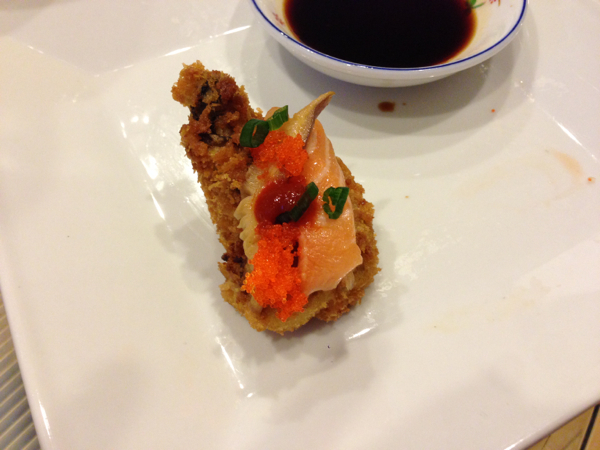 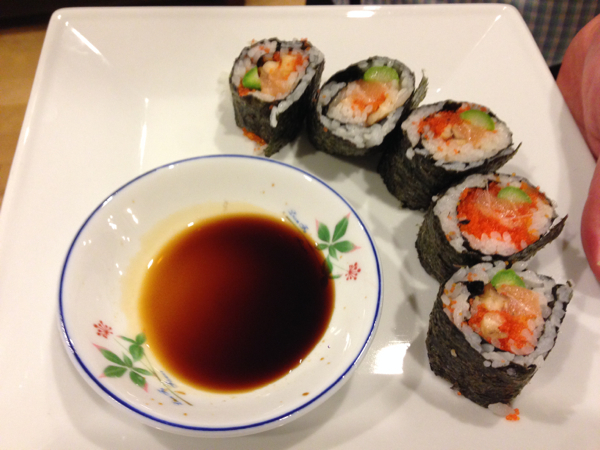 Jung's Weblog » More Sushi!! 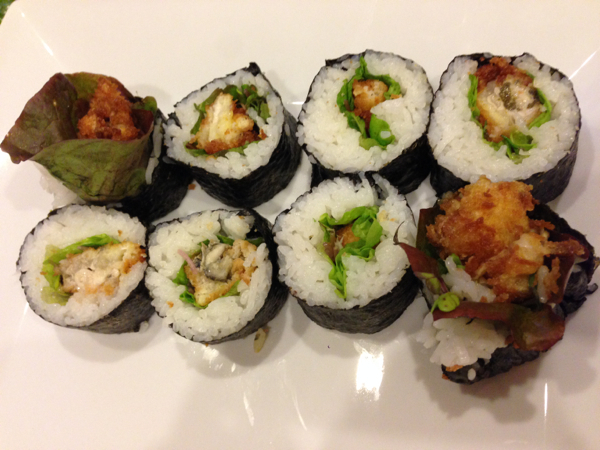 Cook the rice according to the rice cooker instruction. 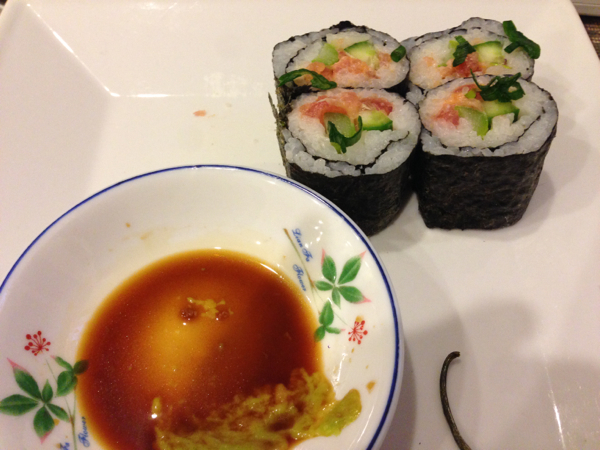 Mix the rest of the ingredients together well and pour it into the rice after the rice finishes cooking. 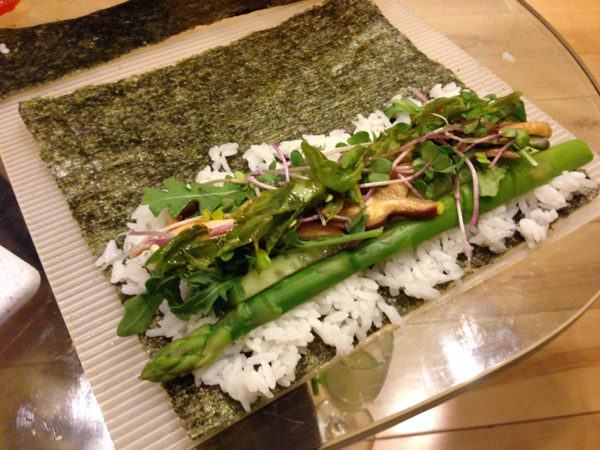 Stir well, cover with a damp cloth. 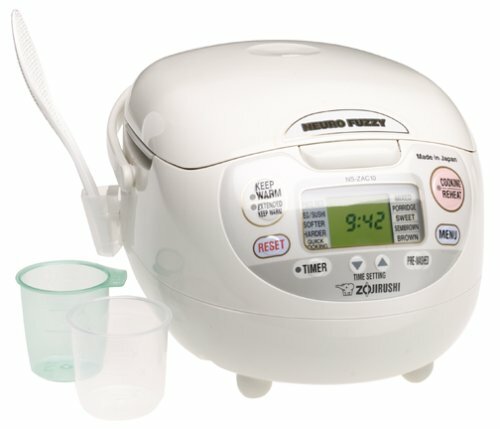 Love my Zojirushi Neuro Fuzzy Rice Cooker that can even cook rice with coconut milk without ever burn the bottom!